Beautiful and chic cardigan from Culture. 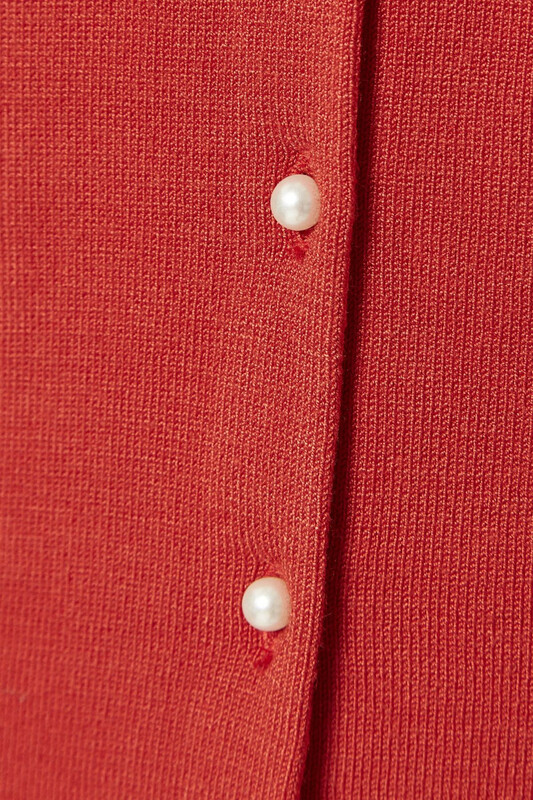 The cardigan has a regular fit, a round neckline and button closure at the front with nice cute pearls. 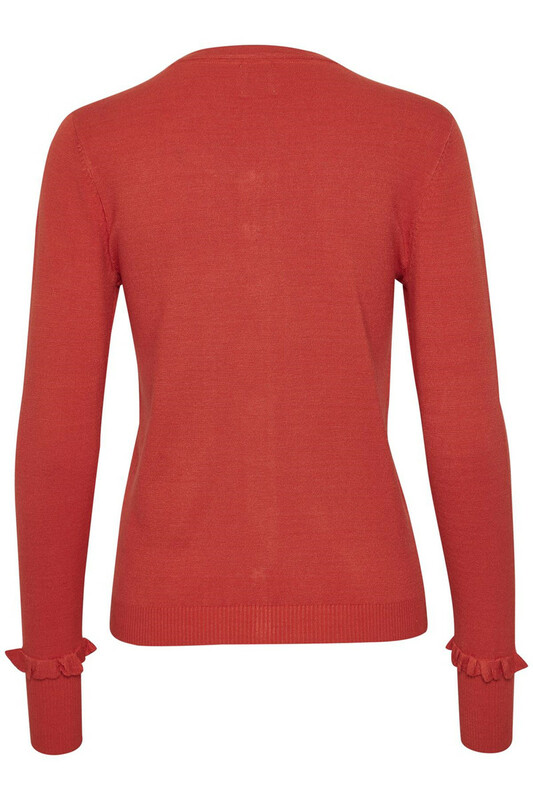 It has a stylish look and elegant ruffles on the sleeves that provides the cardigan with a feminine look. 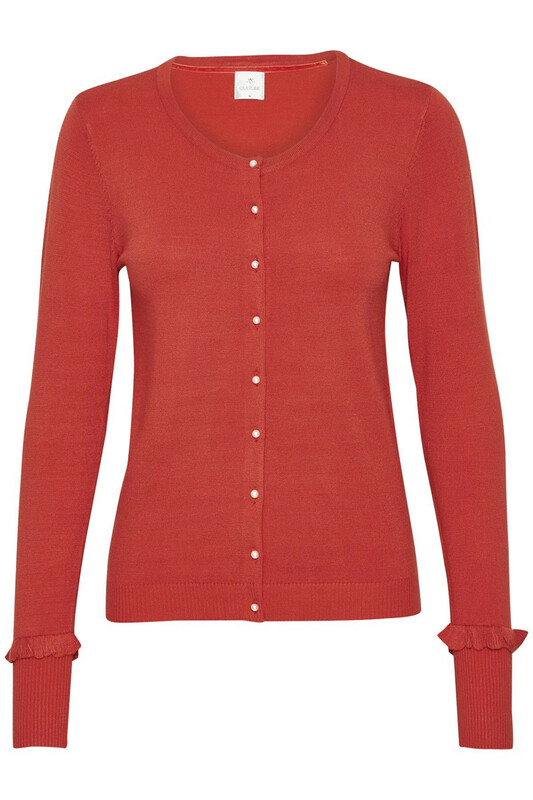 This cardigan is perfect as part of the everyday wardrobe. It is stylish, in a timeless design and has a lovely quality. The cardigan suits both everyday events and festivities, and it can be styled with everything from the closet.